It is rainy today and I just thought of a game that I’d like to write. I was recalling of how great the Mega Man 3 soundtrack was (even played the title song in YouTube). 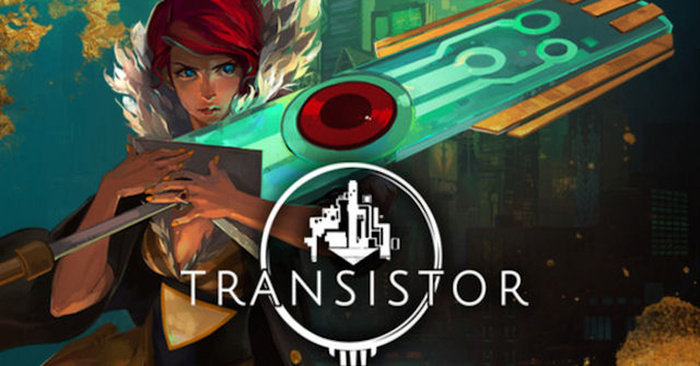 And I just I realized that there are other games that had great music in them, this game that I’m referring to is called Transistor, it’s an adventure-rpg-hack n’slash or turn-based kind of game. The game is played with only one player, it has a unique style where you can really choose between fighting enemies head on or plan your tactics to destroy them. The story goes around Red, a lady that has a beautiful voice but is now gone after an assassination attempt by the organization named Camerata during her show, she was saved by an unnamed man (admirer). This man was stricken with a great-sword in his chest and died. 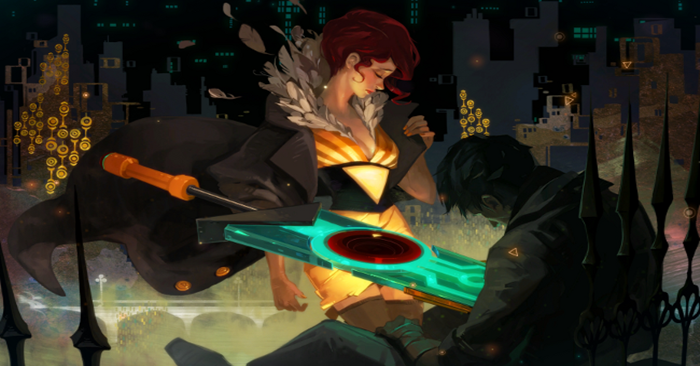 Although it’s sad to think someone died, but his consciousness is somehow transferred to the sword which we now call as Transistor, guiding Red throughout the story. The player controls Red, you can move her in a simple point of view, the controls are manageable, (I’m playing with PC) moving her with the use of WASD on a keyboard or moving her with a left-click from the mouse. You can also assign “skills” to the keys 1, 2, 3 and 4. Pressing a number makes Red “attack” with the obtainable ability which can be acquired when the game will progress. As I mentioned, it’s a hack n’ slash or turn-base game. You can either spam your abilities and defeat enemies or you can activate your turn to “stop” enemies and manufacture your actions to destroy them, pressing Spacebar activates the turn-base feature, the good part about this feat is you can retract and recreate your plan to confront the enemies, sounds kinda overpowered right? This game was easy to beat, I think I finished this game within two days (5-6 hrs a day). Overall, the game allows you to set-up and retract to make the killings more efficient and easy. Here’s a video of me “planning” an attack on the enemy. Please forgive me for how I started my assault on the target, it did not damage them, trying to find a way through the obstacle, but eventually found the dullest way to kill him. lol. I haven’t played this game over a year now… so really, forgive me. By the way, I had an ability equipped to “auto-activate my turn” whenever I receive a fatal damage. Enjoy!